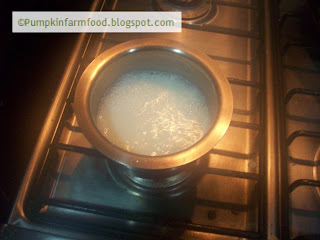 Next time you have some excess milk with you this is one option instead of making lots of sweet dishes. This milk stays for about 10 days if refrigerated well. The reason to make this at home was to satiate my urge to understand the composition of this dish. The engineer in me keeps drawing parallels among different forms of ingredients that are made from same source. So for many years until I first made it at home, I wondered the essential difference between evaporated milk, milk powder, milk solids, Khoya, rabdi, and sweet condensed milk. How could one make different textures using the same base ingredient. On doing some research atleast I landed with an answer for sweet condensed milk. 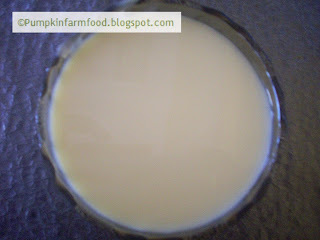 Although you will not find much material on the net about sweet condensed milk, you would definitely get to know the differences. So applying some logic and scientifics I went about making this product at home. To yield 600 gms of condensed milk, you need 1 Litre of Milk (that’s it, really to think that we pay 6 times higher price). The essential part to remember though is that you never allow the milk to solidify the way it does while making rabdi or basundi or khoya. 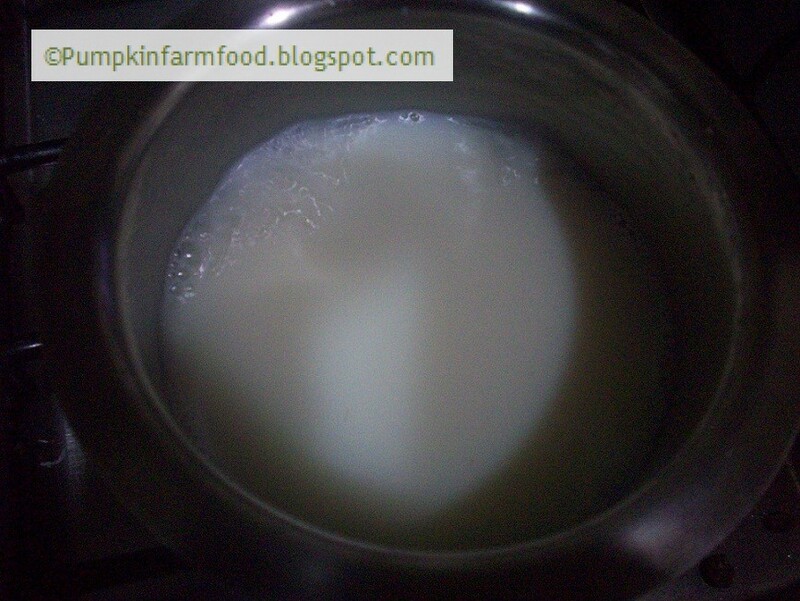 To help this, you need to make one major change while cooking the milk, you need to dissolve the sugar well before you start reducing the milk. 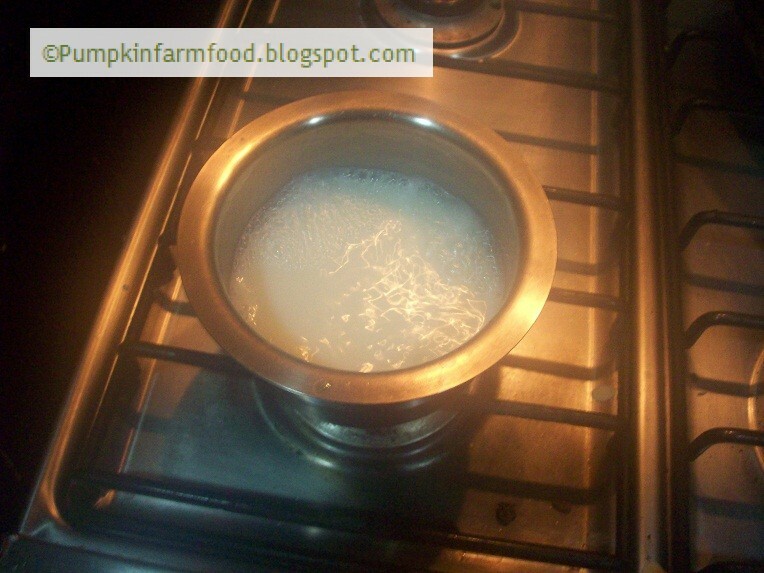 It is similar to making sugar syrup using milk instead of water. 2)As the milk starts reducing, start stirring continuously. This will take around 45min to 1 hour to get to the desired consistency. 3)Remove from flame and let it cool. You can also put it in refrigerator to cool faster. 4)Use as required. Note : The consistency may not be as market bought using the above techniques depending on the water content in your milk. Unless you plan to use it for making dry burfee, chocolates , this is good to go for any cake, kheer recipes, so do not fret about the thickness, the texture definitely comes closer. Good job, P. If we have time in hand, its definitely much better to make it at home. Thanks for sharing. Lovely option to make this at home. Certainly way better than the canned ones!